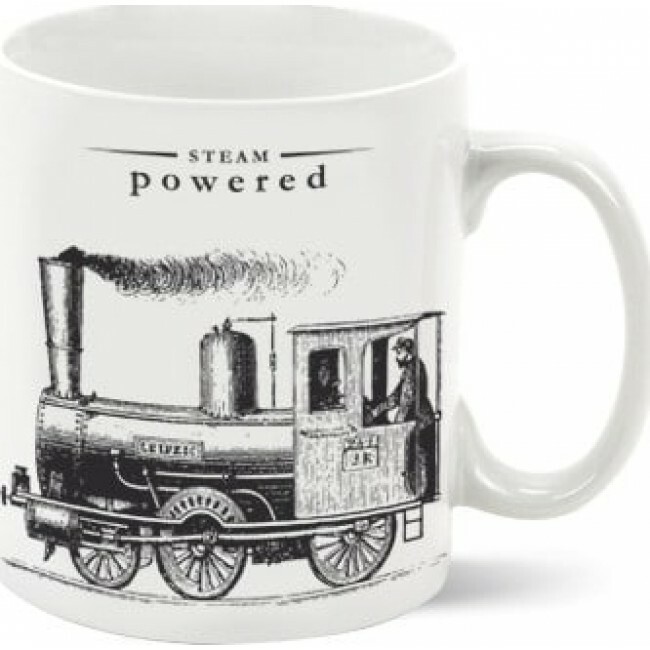 The last of the Steam-Powered Mugs will ensure you never run out of steam during a hard day's work. Comes in designed packaging. Made from pure porcelain. The last of the Steam-Powered Mugs will ensure you never run out of steam during a hard day's work. Comes in designed packaging. Made from pure porcelain. Dishwasher and microwave safe.